I enjoyed baking in culinary school but I really learned the basics of baking from my Granny. Now that I create recipes for a living, I spend more time researching the science behind baking, and how different leaveners impact the texture of your favorite cakes and cookies. I’ve always wondered the difference between baking powder and baking soda. This powder is a combination of an acid, an alkali, and a starch to keep the other ingredients stable and dry. The powder reacts with liquid by foaming and the resulting bubbles can aerate and raise dough. 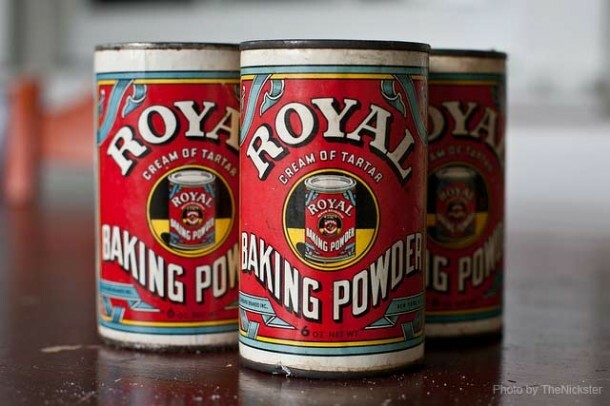 Almost all baking powder now on the market is double acting, meaning it has one acid that bubbles at room temperature and another acid which only reacts at oven temperatures. Unless a recipe specifies otherwise, this is the type to use. Don’t expose baking powder to steam, humid air, wet spoons, or any other moisture. Store in a tightly lidded container for no more than a year. Even bone dry baking powder eventually loses its potency. To test its strength, measure 1 tsp powder into 1/3 cup hot water. The mixture should fizz and bubble furiously. If it doesn’t, throw the baking powder out. This gritty powder is sodium bicarbonate also called sodium acid bicarbonate, a mild alkali. It is used in baking to leaven bread and does so in the same manner as baking powder. When combined with an acid ingredient, the bicarbonate reacts to give off carbon dioxide bubbles which causes the baked good to rise. If kept well sealed in an air- and moisture-proof container its storage life is indefinite. If kept in the cardboard box it usually comes in, it will keep for about eighteen months. 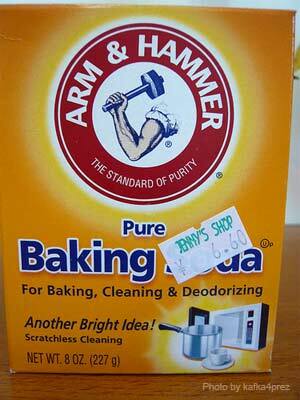 Do keep in mind that baking soda is a wonderful odor absorber. If you don’t want your baked goods tasting of whatever smells it absorbed then keeping it in an airtight container is an excellent idea.